SOAP Hand Car Wash contacted us when they noticed that the website they had invested so much money and energy into, was failing to achieve its goals. Not only did their old website not get much traffic, but even the little traffic it did get led to nothing - people were not properly being sold on the services. To fix this problem and create for them a website that works, we started by studying their business thoroughly - their services, their mission, their unique selling points, their locations, pricing structure and more. We also did research to identify the demographics of their customers, which is extremely important when creating custom web design; we also analyzed their competitors, which is the only way to know what part of your services are unique and worth highlighting. Upon completion of the research phase, we had the answer as to why their previous website did not work. As it turned out, their previous web design did not accurately convey what was most important for their potential clients. Ready-made website templates were not going to cut it for them - they needed a well thought out custom web design. 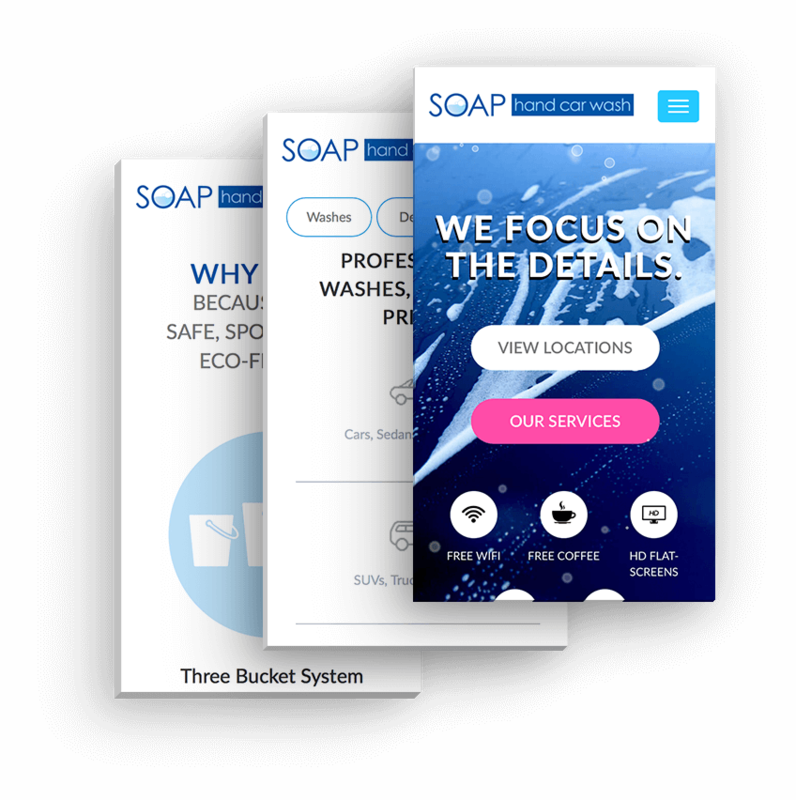 This project required more than just web development, we also helped SOAP Hand Car Wash build their brand voice around what mattered and then created their new web design with that brand voice in mind. 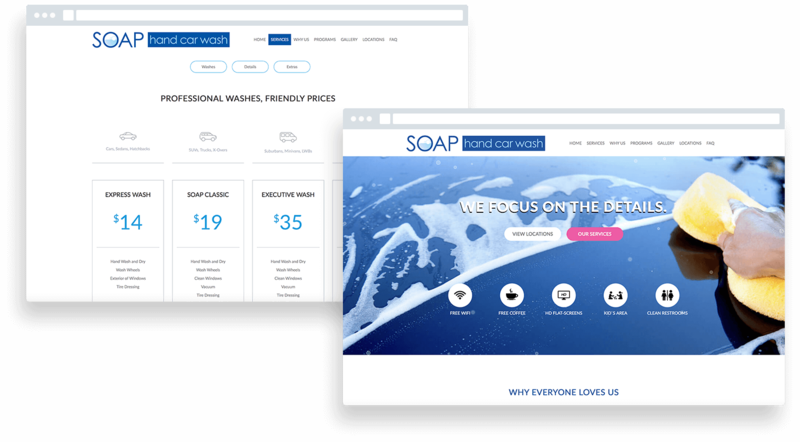 Clean, clear and user-friendly, the new website of SOAP Hand Car Wash made it easy for potential clients to find their locations, their services and prices. We are also proud to say that the new website attracted a lot more visitors - yes, traffic skyrocketed - and even more importantly, the conversion ratio from visitor-to-client also increased. SOAP Hand Car Wash is a hand car wash company with facilities in three different locations in the Greater Houston area. Other than offering excellent service at reasonable prices, what is great about them is that they are eco-friendly and donate a share of their proceeds to the people of South Sudan - a third-world country in Africa. Their ideal clients are very conscious about their environmental footprint, and making the world a healthier place. Now that SOAP Hand Car Wash has positioned itself online in a proper way, they manage to attract more of those ideal clients, clean more cars and make an even greater difference.